At this year’s Automechanika in Frankfurt, Spanish bearing manufacturer Fersa Bearings presented the potential of its new innovative product range and its latest wheel end applications. It also featured new products from its complete aftermarket service Fersa Care. Regarding its innovative product range, Fersa demonstrated the potential of its engineering capabilities, which allows the company to adapt its bearings through coatings, sensorization and design to meet the special requirements of its customers. 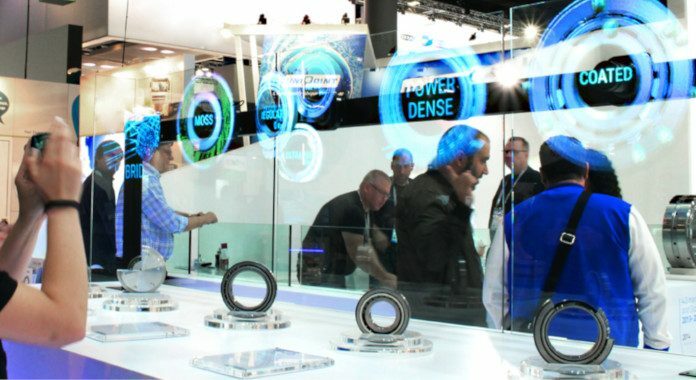 Visitors to the trade fair were able to see at first hand Fersa’s ranges of Power Dense Bearings, Coating Bearings, Ultrapro Bearings, Moss Bearings and Hybrid Bearings. To demonstrate the latest developments in its wheel end range, Fersa presented eleven 3D-printed integral bearings as examples of its integrated products. Printed to scale, these bearings are the most popular models of the range for trucks and trailers. Maintenance-free and with the seals and other sealing elements assembled before printing, these products ensure an optimum sealing performance. The company also treated trade fair visitors to a video about the “4.0 manufacturing process” in Zaragoza. A special area of Fersa’s stand was dedicated to the company’s complete aftermarket service, Fersa Care. Here, the manufacturer exhibited its new developments for workshops, such as its tapered roller bearing extractor and hydraulic hub puller. Automechanika Frankfurt celebrated its 25th anniversary this year. For Fersa, which was founded exactly 50 years ago in 1968, this made it a double celebration: The company was established through the merger of two family businesses, creating A & S FERDSA (Fábricas Europeo de Rodamientos S.A.). Today Fersa Bearings is present in more than 85 countries and has production centers in Zaragoza, Steyr (Austria) and the Chinese cities of Jiaxing and Shenyang.